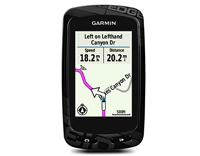 Garmin Edge 810 (010-01063-01) €339.00 - buy online at mysatnav.ie - Ireland's leading GPS & Sat Nav store. If you need an accessory for your Garmin bicycle GPS, please contact us, we stock the complete range. Call us on 01-2936987 or email us at enquiries@mysatnav.ie. 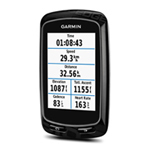 Garmin Edge 810 Performance Bundle - As Garmin Edge 810 except comes with a Premium Heart Rate Monitor, a Speed/Cadence Sensor and an Out-front Bike Mount, otherwise same specification. The main difference between the Edge 810 and Edge 510 is that the 810 is compatible with Garmin street-level and topography mapping products. The units are also slightly bigger. Unless you will never require the heart rate monitor and speed cadence, we would always recommend the performance bundle as it is more cost effective as a package rather than purchasing the ANT+ monitors at a later date.